Superman Returns Stop Press Superman Returns Stop Press Take a picture of Superman by using your mouse to aim and click to take a picture. Superman Memory Challenge Superman Memory Challenge There are 6 levels to complete. Match the pictures of Superman to take them off the board before the time runs out. Superman Hidden Objects Superman Hidden Objects Find all the hidden objects in this image of Superman. Superman Coloring Superman Coloring Color this superhero Superman the way you wanted.Have fun play this superhero coloring game. Description: Fly around Metropolis and other areas INSERT INTO `files` VALUES (desert and space) and avoid objects such as buildings, rocks and meteorites. 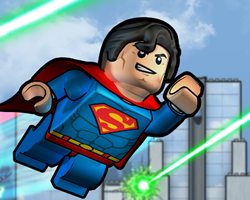 Collect power ups along the way for more super speed. Also, try not to get hit by enemies. And all that in great looking 3D.